The Dark Inside Me is a psychological horror adventure game developed by Akcay Karaazmak. It is inspired from a horror movie director based on dynamic scenario. The game-flow changes according to player’s decisions and how they face with the situations and solve the puzzles. Puzzles can be solved with more then one way and each way effects and changes the rest of the game-play. 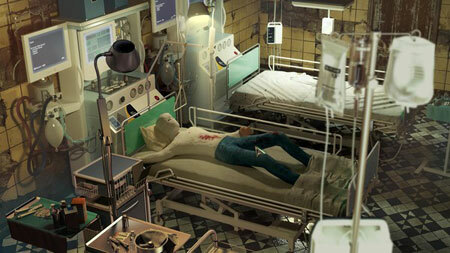 The game has many psychological scenes as well. You can either solve the puzzles peacefully or in a brutal way. You have been given a chance to face your past and how far you would go and sacrifice from yourself to enlighten the darkness and fight with your demons. There are four episodes in Chapter 1 – Broken Lines of a Killer, Auschwitz Death Camp, Hidden Lies, and Her Twisted Pleasure. Chapter 2 will start where Chapter 1 ends. If you get stuck in the game, check out the video walkthrough and gameplay for the game. This entry was posted in PC Games, Walkthrough and tagged The Dark Inside Me Cheats, The Dark Inside Me Game, The Dark Inside Me Gameplay, The Dark Inside Me Guide, The Dark Inside Me Hints, The Dark Inside Me Review, The Dark Inside Me Solutions, The Dark Inside Me Strategy, The Dark Inside Me Tips, The Dark Inside Me Walkthrough by Marvin. Bookmark the permalink.